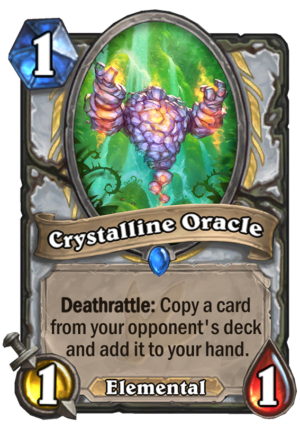 Crystalline Oracle is a 1 Mana Cost Rare Priest Minion Elemental card from the Journey to Un'Goro set! Deathrattle: Copy a card from your opponent's deck and add it to your hand. isn’t this a 1 mana shifting shade? I don’t know.. seems like you want to play the quest on turn one and after turn one you don’t want to play a 1 mana 1/1. They could have made it a 2 mana 2/2 like Undercity Huckster. You could play this turn two with a Northshire Cleric if you were playing against an aggressive deck. You most likely drop it somewhere else along the curve to help with the Quest. It has more value than it’s cost and stats suggest. And the Priest has plenty of options to buff it’s stats if it was worth doing so at the time. I thought that was kinda the point. Weren’t quests designed to be a cool way to do crazy things with certain archetypes that player can choose to add to their decks i they want. 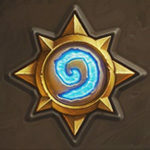 There will be a few players who fin they prefer their decks without the quest for a variety of reasons (They don’t consider the reward worth it, they don’t want the pressure to actually complete the quest, they don’t want to give up a card slot on something that could slow their initial turn and likely won’t trigger in 60% of most match ups. they don’t want to advertise what kind of deck they are doing ,etc.). That’s okay, it just encourages a wider variety of decks. I would compare this card with swashburgler. It has a class (i.e pirates, elemental etc. ), and the stats is the same, 1/1. Just that they have a different activation time of their own ability. Generally, discovering opponent’s deck is better than opponent’s class cards. Deck-specific is relatively stronger and it’s exactly what this card overrules the swashburgler. The most interesting thing about this card is the Elemental tag. It’s a fairly OK 1 drop, and the deathrattle will help with the priest quest, but it makes me think more about what angle elemental synergy will take – seeing as the power level of elementals are all over the place. The elemental tag is interesting. The card is good in a vacuum too . It’s basicly a better bababling book for priest. Arguably babling book is probably a little bit stronger for mage, because you can use it with hero power to pick off 2 mana minions. Isn’t it crazy to see how priest and rogue are so similar? It’s similar but very different at the same time. While a rogue gets cards from the class he’s facing, priest literally gets a copy of a specific card that’s in his opponent’s deck. Priest is also not limited to class cards, you could for example steal a Ragnaros (not for long) as a priest but not as a rogue. Looks like Pavel is playing priest this expansion. Great… Another card that steals stuff from your opponent’s deck…. Between Drakonid OP, shifting shade, potion of madness, thoughtsteal, cabal shadow priest, shadow madness, and mind control I’m kind of sick of priests just stealing all your cards. Makes me quite sulky when they get to use my own Fandral / Druid of the Claw combo against me before I can use it against them (since Thoughtsteal nabs cards that you’ve not drawn yet). 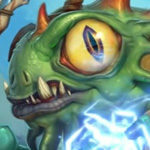 Makes me want to play Warlock Zoo and have a deck full of cheap rubbish.